Visit a competitive Iditarod kennel and experience the adventure of dog sledding on trails used for race training. On this hands on tour, you will learn the basic commands and protocols of dog mushing. 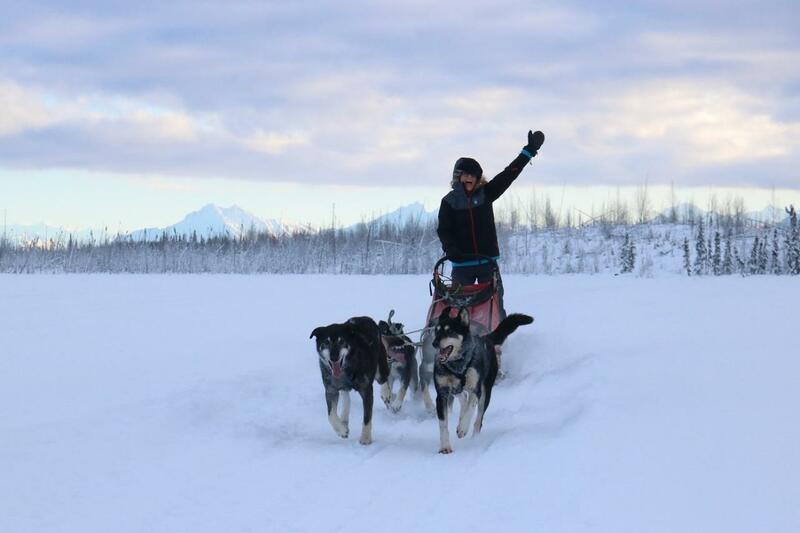 Mush your very own team of real Iditarod sled dogs with your own personal sled! I booked the half day mushing school and had an amazing time. After pick-up at the hotel we drove 1 hour to the Martin Buser's Mushing School. The dogs are so full of energy and very playful and love pulling your sledge through the wonderful winter area. I had a great instructor and he provided a test ride so that you learn how to navigate the sledge. It's relatively straight forward and the main focus is on ensuring the dogs won't speed too fast. After all the fun lunch was provided before we headed back to Anchorage. This is a must do and very enjoyable event for any Alaska visit during the winter months. Thanks for a memorable and enjoyable day! Had the most amazing time yesterday. Started with a prompt pick up from my hotel by Amanda. Despite the challenging roads of snow and ice, Amanda maneuvered the roads with ease. She was well-informed of the area as well as a great conversationalist. After an hour and a half drive we finally arrived at the kennels where we were greeted by the staff. We watched a short 20 minute video about the history of the sled dogs and then were instructed to suit up and head out to meet the dogs and get on the dog sleds. I had an amazing time throughout the hour long dogsled ride. Had the opportunity to take some amazing photos with my DSL our camera as well as captured some great video footage with my GoPro. After the hour of dogsledding, lunch was made and served all the while Enjoying the warmth of the holding area. An amazing staff, which was very courteous and professional from start to finish. I highly recommend this company.